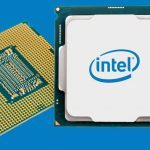 Intel recently announced that its new 8th Gen Intel Core processors are coming to the vPro platform. These products are meant to help organizations of all sizes with their digital transformation needs. That includes optimizing productivity with Windows 10 and delivering high-performance features to enterprise devices that should help both end users and IT professionals stay on task. Here are some of the unique features and benefits of these updates to the vPro platform. The new 8th Gen Intel Core processors on the vPro platform include a new quad-core configuration for mainstream mobile PCs and six cores coming to premium mobile and desktop designs. So when IT pros upgrade their organization to the latest Intel vPro platform, the PCs that are connected to the platform can deliver top performance for a variety of functions, ranging from quickly creating charts and visuals for financial documents to creating interactive 3D applications using mobile workstations. Data security is another major point of concern for organizations big and small, especially when it comes to stolen credentials or data breaches. However, the Intel vPro platform is made to provide a number of advanced security features, including an improved Intel Authenticate solution, which offers multifactor authentication options, and a new hardware upgrade called Intel Runtime BIOS Resilience, which is meant to minimize the risk of malicious code injection. Today, computing encompasses more devices than ever. The vPro platform includes a central platform that IT can use to manage support for everything from the standard desktop computers and smartphones to more specialized devices like digital signage and vending machines. To accomplish this goal, the platform includes Intel Active Management Technology to reduce on-site support and Intel Stable Image Platform Program to mitigate maintenance during transition. The company is also in the process of introducing a new component-level traceability feature through Intel Transparent Supply Chain.